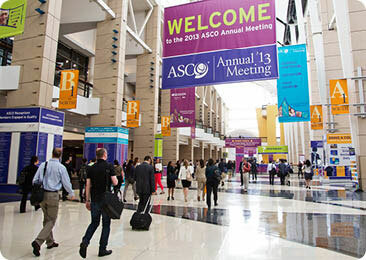 Roche had a number of pithy taglines to splash around its oncology business review at ASCO: "we take cancer personally," or with a slightly more ominous tone, "doing now what patients need next." But the more powerful refrain may have come from execs' repeated mention of how much Roche has "under one roof." With so many companies targeting oncology and talking up their strategies to move up the leader board, the onus is on the market leader to maintain its position. That may not actually be a large internal priority at Roche, as their acquisition of Genentech gave them a comfortable lead. Roche oncology sales in 2012 were almost three times as much as its nearest competitor, Novartis--$19 billion, versus $6.6 billion, respectively for the full year, according to IMS Health. Karl Mahler, Roche's head of investor relations, cited the HER2 franchise as the model of how Roche is differentiated from other companies, changing standard of care, building lines of therapy and moving towards combinations. That's what Roche is looking to do in hematology, moving from the rituximab base to new drugs like GA101. "We have a number of scenarios that can help us both extend the franchise and potentially replace and extend the franchise," Roche Pharma COO Daniel O'Day said. There was an underlying theme in the firm's annual ASCO presentation: how well their model works, how they can repeat that success, and how big their position in oncology actually is. Part of the success is positioning and building off their existing business, where O'Day touted the firm's in-house capabilities - especially in the growing field of rational anti-cancer combinations. The foundation for Roche's oncology business are the three pillars of the anti-HER2 franchise, the anti-CD20 franchise and the anti-angiogenesis franchise. "Obviously we want to continue to improve upon those," O'Day told the June 2 meeting in Chicago, "but we'll be adding that the many, many new targets that we have and new pathways, things like our MetMAb, PI3 kinase, Bcl-2, others." There's also the antibody-drug conjugate platform, which beyond the recently launched Kadcyla includes 20-25 new compounds. "Add to that the immunotherapy and I think it gives you the richness of the combination therapies being able to really come to play." "Of course, you can do that across companies in different ways," O'Day added, "but we think there are significant strategic advantages to do that within one organization." And Roche has the "diversity and mass ... in each one of these areas" that can make that doable within one company. There's a similar situation with companion diagnostics, he added, "because often the value on these combination therapies is obviously more obtained on the pharma side than on the diagnostic side, and that's one of the advantages of the Roche Group strategy that's allowed us to move diagnostics ahead very aggressively, as well." O'Day returned to the pharma side in 2012 after a seven year stint heading the diagnostics division. He played up how his "good relationship" will help the company as it considers strategies to optimize the pharmaceutical pipeline in oncology. An early test of these beliefs comes from the PD-1/PDL-1 inhibitor class, the promising immune checkpoint area that has been a hotbed at ASCO. Roche has its own version, but it remains to be seen if its or Merck's or Bristol's or anyone else's emerges as the optimal partner - though execs argued that Roche's PDL-1 is looking good. The company also has an assay that could have a pivotal place as the field takes off. The shift to two or more agents combining in immune checkpoint "really does highlight how valuable it might be to have many of these reagents under one roof, because the collaborations across companies are always challenging," Hal Barron, Roche's head of global pharmaceutical development, said. "We would always pursue them if that's where the biology went, but we have an opportunity to define how the future looks by having these." Though Barron rebuffed a question about the company's wishlist for opportunities it doesn't have in its own pipeline - not wanting to tip its cards - the exec revealed part of its business development strategy: "Our approach is, oftentimes, to ask ourselves is there a way of improving on those within that pathway? I won't go into great detail about that, but we are constantly looking at drugs that are active and saying, not just do we wish we had those, but could we then take those and that pathway and make it better? I think our strategy is to really have as many things as we could." Most companies looking to build their oncology presence talk up the importance of expertise. Roche spread that around the (very crowded) room -- during the Q&A, it became clear that many company experts were seeded throughout the space, ready to impress. Mahler laid it out from the start of the meeting. Over half of Roche's R&D budget is dedicated to cancer care. "And we are not currently only in the lead, but we also intend to stay in the lead by spending appropriate money for this," he promised. As long as Roche is willing to put money where its mouth is, it very well may wind up in the end just as it started -- in the lead.